Let's all have fun together again. And let's go to the nationals. Come play with Nodoka! 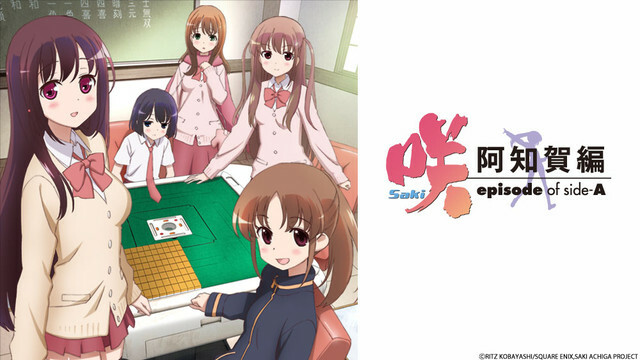 Shizuno Takakamo and Ako Atarashi, members of the Achiga Girl's Academy Kid's Mahjong Club, invite the new transfer student from Tokyo, Nodoka Haramura, to come play with them. Kuro Matsumi, a student one year above them, and Harue Akado, a university student who is their coach, are there as well, and together they spend their days having fun and playing Mahjong. But when it's time to go to middle school, Harue leaves for a pro team, and Ako ends up going to a different school. And then Nodoka transfers, and the group is torn apart. Time passes, and one day in her last year of middle school, Shizuno is watching TV when she sees Nodoka winning the national middle school Mah-jong tournament. "I want to play Mahjong with Nodoka again." Shizuno and Ako both decide to go to Achiga Girl's Academy High.